Keesal, Young & Logan is a gem of the California legal landscape – not just because of the staggering success that the Long Beach-based firm has amassed in its typical low-key fashion. But also because of the thousands of cases its partners have tried over the firm’s 48-year history. 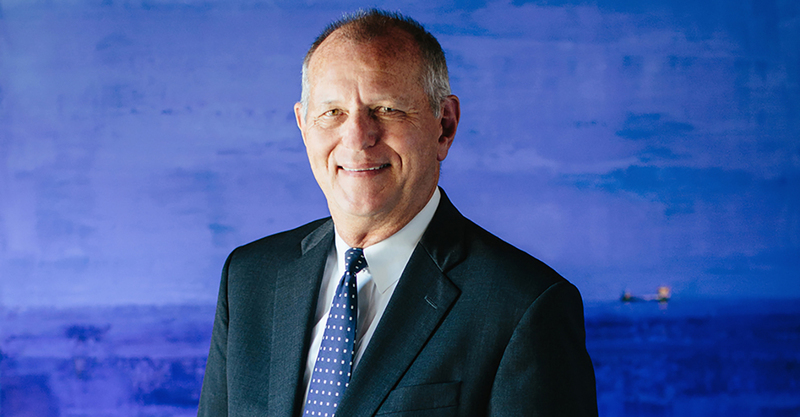 San Francisco partner Ben Suter – who signed up when the firm had eight lawyers and an address of Pier F, Berth 203 – has grown to embody the firm’s values and culture in his three and half decades with the firm. Recently, he played a key role in defending one of the firm’s brokerage clients, Morgan Keegan & Co., Inc. (now part of Raymond James & Company), in the imbroglio in Moberly, Missouri, after a California lawyer persuaded the State of Missouri and the City of Moberly that a Chinese sucralose manufacturing company he started could bring back jobs to the heartland. After Moberly won the plant, and issued $39 million of bonds to finance its construction, Moberly defaulted on the bonds and everything went south. The lawyer is now in prison and his company is in bankruptcy. The SEC and investors’ counsel set their sights on Morgan Keegan, the underwriter of the bonds, shortly after Moberly’s default. Suter and Keesal, Young & Logan protected Morgan Keegan, first by demonstrating to the SEC that the firm had complied with its due diligence responsibilities, and then by defending the numerous state civil and regulatory actions and a contentious federal court class action that settled after the jury was empaneled. That’s just one of hundreds of cases Suter has handled in courts throughout the U.S., typically with remarkable results for his clients. Suter’s career could easily have gone in other directions after an international upbringing left him with more than a little wanderlust, a wife of similar inclination, dual citizenship (U.S. and Swiss), and the ability to work in restaurants in the U.S. and in Europe. Suter and his wife packed up their MGB convertible in the summer of 1980 – in which all of their belongings including their Golden Retriever, Hastings, fit – drove down the California coast to clerk at Keesal, Young & Logan, and have been driving into the sunset ever since. Lawdragon: Ben, tell us how you came to join Keesal, Young & Logan? It was a relatively new firm, founded in 1970, based in the port of Long Beach, and, in the spring of 1980, you were a first-year student at Hastings who’d traveled all over Europe. Ben Suter: I was going to law school in San Francisco, and saw a small ad in the student newspaper. At the time, the firm had just eight lawyers and they were interviewing first-year students, which was very unusual at the time. I wasn’t sure where Long Beach was, but it didn’t matter because I planned to just have a “practice” interview for 20 minutes to see what it was like. And I loved sailing and was intrigued by the address: Pier F, Berth 203. LD: Were you a sailor? BRS: I had a small sailboat prior to law school, so I thought that was kind of a cool address. I interviewed with John Giffin, who was a first-year attorney at the time. It was very pleasant and not as difficult as I imagined it might be. So when someone from the firm called me a day or so later and said, “Could you fly down to Long Beach and meet the other seven folks at the firm?” I thought that was great. I could go to torts class or contracts class, or fly down to Southern California! They made me an offer to come down for the summer. So my wife and I and our 95-pound Golden Retriever drove down the coast and everything we owned fit in the car. LD: What led you to law school? BRS: I did undergraduate school on the seven-year plan. My mother is French and my dad is Swiss, and most of our relatives are still in Europe. I was born in California, but had gone back and forth to Europe since I was a young kid, starting when I was four. My parents were classic immigrants, arriving in California a few years after World War II with two suitcases, a one-year old child (my oldest brother, who was born in Switzerland), no money and an address for the only person they knew in the United States (my mother’s aunt, who arrived ten years earlier to marry a “pen-pal” she had never met in person who owned a walnut orchard outside of Yuba City). We pinged and ponged back and forth as a family and sometimes individually, between California, France and Switzerland until I was 16. My dad was an engineer and my mother was a French professor. I went to kindergarten at a public school in France, then came back and started school in the U.S. When I was 10, my parents put me on a plane in San Francisco to go live in a small village in France. My brothers and sister before me did the same thing, so I knew when it was my turn. I attended different language schools in Switzerland that first summer when I arrived at age 10, and then the full academic year in France where I was “l’americain” in this village where no one spoke English. I spent part of high school in a British boarding school in the Swiss Alps with 250 kids from maybe 45 countries, and loved the multi-culturalism of this very international setting. I had friends from many European countries, as well as from Somalia, India and South Africa. When I returned to the U.S., I started college just after I turned 17, while I was technically finishing high school. A year later, I decided to quit college and have an adventure, so I drove from California to Prince Rupert, in northern Canada, and boarded a ferry to take me to Ketchikan, Alaska, where I worked in a pulp mill – unloading train cars full of chemicals in a protective full body suit and operating a chipper machine that reduced 50 foot tree trunks to matchbook-sized “chips” within seconds. LD: I take it the wanderlust bug had already taken hold? BRS: Absolutely. When I lived in Europe, I would frequently travel to different countries to see friends or to just explore. I was bored with college and wanted adventure. My Swiss-born brother was living in Alaska and needed a panel truck. He said, “If I send you the money, can you bring me the truck?” I said, “Sure,” although I knew very little about trucks or what to look out for when buying a used vehicle. I found and bought a Chevy panel truck without realizing that it had a few problems.The first problem was that the gas gauge was broken – and remember, this is in the pre-cell phone era driving up to Prince Rupert, Canada, along a route where gas stations were few and far between. So I bought two five-gallon gas cans and hoped for the best. The second problem was that the heater didn’t work and I was going to be driving to Alaska in January 1973. As it turned out, I put multiple layers of socks on my hands while driving, as I listened to 8-track tapes on the way. After working in the Ketchikan pulp mill for six months, I came back to California to return to school and worked in a restaurant to support myself, which I had done at various times since I was 13. The restaurant was run by a French professor I knew and her American husband, who wanted to open a new, larger French restaurant. We found a dive-bar in a good location, tore it down to the studs, and opened what turned out to be a very elegant, popular and successful restaurant. I worked at the restaurant full-time while going to college part-time. Fast forward to 1975 when I met a very spirited, intelligent, adventurous and beautiful young woman who had also lived in Alaska. (As an aside, we married in 1979 and will soon celebrate our 38th wedding anniversary!) We decided to quit school and go back to Alaska for an adventure (and to make money to for an extended trip to Europe). We got as far as Juneau, worked there for six months and then went to Europe. We wanted to stay a year, riding bikes and trains, but went through our money about twice as fast as we had planned. We stayed about six months. Ultimately, I decided I didn’t want to be drifting forever and didn’t want to be in the restaurant business forever. So I decided to get serious about school. I went down to Santa Barbara, graduated from U.C.S.B. with a degree in philosophy, and then went to Hawaii for about five months while I waited to hear from law schools. I worked at night in a restaurant (Alioto’s in Honolulu) and had my days free to enjoy what Hawaii has to offer. Then I came back and started Hastings in August 1979. LD: When you joined Keesal, Young & Logan for the summer of 1980, what did you like about the firm, what stands out looking back? BRS: I liked the folks. Let me tell you a quick story about Skip Keesal, who is a very thoughtful and generous person, someone who is always concerned about the well-being of others, whether they’re employees, clients or friends. My wife and I didn’t own much besides our clothes and our books back in 1980, no TV, no furniture; we didn’t really care about possessing things. That first summer with the firm, we did have two sleeping bags that we brought down with us, which we had from Alaska – and which were great for sleeping in the environment surrounding Mt. McKinley (Denali). We were renting a dilapidated house about a block from the beach in Manhattan Beach that was slated to be torn down in about three months – so it was perfect for the summer. We had a little hibachi and a hot plate. My wife was working at a restaurant and I was clerking at the firm, so we didn’t eat at home an awful lot. One day toward the end of the summer, I was a little cranky at work. Someone asked, “What’s wrong?” and I said I didn’t sleep well because the McKinley sleeping bag – my bed – was good for minus 10 degrees weather, but not so good for a really hot Southern California night. Somehow, Skip heard about that and two days later a moving van showed up with beds, dresser drawers and all sorts of stuff. LD: Then you summered after your second year at a major Hawaii firm, but decided to return to Keesal, Young & Logan? BRS: That’s right. I thought that I’d get exposure to more practice areas and meaningful trial experience if I was in California, and my wife and I hoped that Keesal, Young & Logan would open an office in Northern California one day – which they did, about two years after I started. Three partners who had San Francisco connections came up in 1984. Because we had just bought a house at the beach and started a family, we didn’t move up to San Francisco until 1986. LD: How fast did you get in the courtroom once you joined? BRS: We were trying a lot of securities and commodities cases when I joined the firm. So within a week or two of passing the bar in December 1982, I was helping Skip and Steve Young try a commodities case before the Commodity Futures Trading Commission. A couple of months later, the three of us tried a related commodities case before a jury in federal court. The firm was very big on getting early trial experience; not every firm offers that. One of the first cases I did on my own was a couple months after I passed the bar. A pilot for Western Airlines had passed a $5,000 bad check to a brokerage firm. He owed the money and knew it, but he just refused to pay. I tried and won the case in municipal court in Santa Monica. The pilot asked for a trial de novo which was granted as a matter of right, and I tried and won the case again. The pilot then appealed to the superior court appellate department and the result was reversed on a technicality, so we had to try it again. We won a third time and the judgment was ultimately paid. LD: For a $5,000 check? BRS: Yes.The point was that it was wrong that the pilot wasn’t paying. And the firm wasn’t concerned about making money off the case, and had an arrangement with the client that was beneficial to the client. The firm saw it as an opportunity for me to get experience. That case was an early exposure to dealing with people who were not necessarily being straightforward. One time the pilot didn’t show up for trial and said he got stuck in Hawaii because of a problem with the airplane. I never knew whether that was accurate, but ultimately we won and we collected. LD: Skip Keesal and Steve Young have both been mentors to you. Anyone else? BRS: Bob Logan in Long Beach and Peter Boutin in San Francisco. My partners and I have had fascinating cases over the past many decades. There’s one from the early ‘80s where a Mexican “doctor” was suing the brokerage firm for $2 million in commodity losses. We countersued for the brokerage firm because there was an unsecured debit of about $300,000 against his account. We did all sorts of thorough preparation – as is our way of doing business. We went to the American Embassy in Mexico City to get documents served on the medical school where the plaintiff said he attended. He’d been parading around as a doctor for many years, and doing some medical procedures in Tijuana, which were dangerous to people on which he was performing them. It turns out that he had gone to the medical school for three weeks or maybe three months, and was not a doctor at all. The weekend before the jury trial, plaintiff and his counsel came to our law office at Pier F, Berth 203, and brought along a copy of a cassette tape of a supposed conversation between the plaintiff and our broker. As we’re listening in Skip’s office, I heard a little click a couple times. It seemed to us that the tape has been doctored and that the plaintiff had spliced it together to make it sound like he said he wanted to buy, when he said sell. We tried the case in front of Los Angeles federal judge A. Wallace Tashima, before we was appointed to the Ninth Circuit. The plaintiff wouldn’t give us the original tape, saying it was hidden, so we got the judge to order him to hand it to our paralegal after the first day of trial. And when our paralegal arrived at the plaintiff’s home that evening, the plaintiff wouldn’t answer the door. The next day, the judge ordered the plaintiff to bring the original cassette tape to court the next day, or face serious consequences. In the meantime, Skip is cross-examining the plaintiff and says, “Doctor, tell me a little bit about your schooling.” After the plaintiff described his impressive credentials in great detail, Skip says, “Dr. Quinard, you’re actually not a doctor at all are you?” And he replies, “What?” He never saw it coming. We showed him the document with a seal from the U.S. Embassy that showed he had gone to medical school in Mexico City only briefly. The good “doctor’s” credibility was completely destroyed at that point. LD: You’ve handled so many cases over the years. Any others that come to mind as particularly noteworthy? BRS: Skip and I had a fun case in Hawaii, where a couple of investors claimed they received bad tax advice from their stockbroker in connection with a tax shelter investment, which cost them many hundreds of thousands of dollars in losses and lost tax benefits. We tried the case in December 1986; Skip and I had tried around 10 cases together by then. The first case that we tried together –when I was just a law clerk in 1980 – was a jury case that Skip tried on principle against a dentist in Long Beach who beat up his girlfriend and then refused to take responsibility or show remorse for his abominable conduct. We got a jury verdict for compensatory and punitive damages. I pointed out that I hadn’t studied for the bar. But Skip just said, “If you pass, great. If you don’t, no big deal.” So I located some old bar materials and flew to Honolulu the next morning. I read on the plane and found a nice spot on the beach to study a bit for a day and a half, and took the bar over the next four days. Skip flew my wife and our young child to Hawaii later in the week and told us to have a nice vacation. Somehow or other, I managed to pass. LD: And just two years later you’re back to try a case in Hawaii with Skip? BRS: The trial was set for 12 days. A couple of millionaires in Hawaii were suing because they did a tax shelter and the 1986 Tax Reform Act caused them to not get quite the benefits they thought they were buying in 1983. So they tried to blame the brokerage for not getting their tax advantages. The Thursday before trial was to commence the following Monday, plaintiffs’ counsel waived the jury, presumably because Skip had gotten a defense verdict from a jury in Hilo against one of the lawyers a year or so earlier. That completely changed our strategy and we spent 20 hours straight writing the trial brief and preparing for a bench trial. Mind you, this was in the pre-fax, pre-Internet era, and the only way to get our trial brief to the trial judge before the trial started on Monday was to fly to Hawaii to hand-deliver the brief on Friday. Skip flew from L.A. to San Francisco early Friday morning, where our paralegal handed him the brief at the airport, and he then flew to Honolulu to deliver the brief to the judge. This clerk had not been the friendliest to us out-of-towners when the trial first started. When she announced that the judge was ready to rule, she had her arms crossed and blocked the entrance to the courtroom as Skip and I tried to enter, but she let the plaintiffs’ counsel go by. Then she said to us with a smile, “Don’t worry, we’ll get you home by Christmas.” We won the motion for directed verdict and did in fact make it home on Christmas Eve. Plaintiffs appealed and I ended up arguing the appeal to the Hawaii Supreme Court, where we prevailed. LD: You’ve learned so many lessons from Skip and your trial work over the years. Care to share some of them? BRS: Skip instills a way of dealing with folks that is respectful, polite and professional. I got so much experience early on in my career, which wasn’t the case with some friends at big firms. I feel very fortunate that I got to do a lot early on. And somehow, here we are 35 years later. There’s stability in our firm that comes from how careful we are in selecting attorneys, but it’s also the firm culture where we have partners’ meetings twice a year and bring our families along. We have our winter meeting in a ski resort and generally have our summer meeting in Hawaii. So my four kids, as they grew up, traveled and grew up with my partners’ kids. They ran around the beach together and raced down ski slopes with their dozens of “Keesal cousins,” year after year. Now our grandson joins us. There are many fast friendships among the partners’ kids. LD: There’s a tremendous decency to everyone at Keesal, Young & Logan, but there’s also wisdom to not just being nice, but also making sure those bonds are strong. BRS: We are nice. We can be very tough, though, in terms of not suffering fools and not putting up with baloney or with someone not being straightforward. We’re pretty aggressive when necessary, but strive to work cooperatively with opposing counsel to avoid wasting our time and our clients’ resources on petty disputes. Being nice may get you in the door, but if you don’t deliver, you won’t have the client for long. If you say you can try a case, you better be able to do so. We’ve had a lot of opportunities, especially in the arbitration context, to try cases to conclusion. This has helped so many of our lawyers because in arbitration, you don’t have all the discovery of a federal or state court case. You are entitled to documents, but nowhere near the scope available in court, and for the most part you don’t do depositions. So on one level, trying a case in arbitration is more challenging than proceeding to a bench trial or jury trial in court. In my experience, regardless of the forum, if you do your homework and analyze the issues carefully, and have the experience to know whether or not something’s going to play well or not, that judgment and experience makes all the difference. LD: For all your passion for the law, I know you are equally dedicated to your wife and family. How did you and your wife meet? BRS: I met my wife quite serendipitously at the restaurant I opened with some folks in 1974. I generally only worked nights, but somebody couldn’t make the lunch shift in June 1975 and asked me to come in to cover for him. I did so, and as I was leaving, my future wife walked in seeking a job. I did a U-turn, asked her if I could help her, and she’s been putting up with me and my excesses in the law profession for quite a while. And we’re still having fun.